If you love spices, then I am sure you are not a stranger to the golden brown turmeric ground. This awesome spice is dug from the curcuma plant and it is very popular in India and Pakistan. Turmeric has been known to heal several diseases among those who use it. For instance, in the past it has been used as a natural (herbal) remedy for arthritis, colds, headaches, acne, lung infections, intestinal worms, menstrual problems, leprosy, fever, heartburn, bloating, …name them. This spice has been hailed in the past as a super healer. Neither do I hold a stance of objection in most of these claims since I know the spice is really a healer. One interesting popular notion however about this spice is the view that turmeric can cure a rare skin condition known as Vitiligo (or Leukoderma). This notion is not new and it has been held by several renowned medics for quite a long, long time . On the other hand, there has also been some counter-argument on the topic too that cannot be overlooked. So, is turmeric the friend or the foe in vitiligo? In this edition, I ventured to examine the well known facts and give an honest opinion on this rather confusing topic. First, what is Vitiligo (Leukodema)? As mentioned before, it is a skin condition that is caused by the loss of the skin pigment in some parts of the body leaving parts of the skin discolored or just white . There are no clearly suggested causes for this condition. Some suggest genetic causes, some argue autoimmunity (the body killing its own cells), and others argue oxidative stress, among many other reasons. 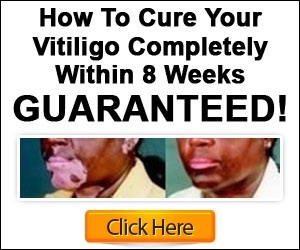 However, the known fact is that curing vitiligo is both difficult and often expensive. The popular remedies include phototherapy, use of steroids, depigmentation, administration of some antibiotics to regulate immunity and of course use of turmeric. …mmm, what is the science behind “turmeric therapy”? Turmeric acts as an antioxidant : The main constituents of turmeric are curcuminoids and volatile oil. Curcuminoids contain curcumin which has been studied to display antioxidant features. Curcumin thus works to control vitiligo if caused oxidative stress. This property has also made it be hailed as a prospective remedy for cancer. 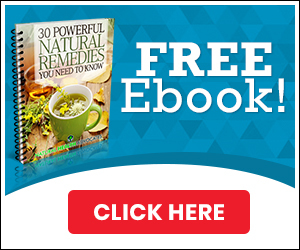 It acts an anti-inflammatory : Turmeric has proven to inhibit inflammatory mediators. It has been argued that it inhibits the activities of the protein nuclear factor-kappaB which then inhibits the production of inflammatory mediators. Helps in skin regeneration: through oxidation and inhibiting of inflammatory mediators, Curcumin thus helps to repair the worn out skin. In Tamil Nadu, a southern state of India, Siddha medicine has used turmeric to cure vitiligo. In the Sidha literature, vitiligo is mentioned as “Venn Kuttam” (white leprosy) and that Rajni (a name for turmeric) if ministered appropriately could re-pigment vitiligo . Besides, two other scientific researches on this topic have in the past given a positive outcome on this remedy. One conflicting counter-argument for this hypothesis is held by Dr. Karin Schaullreuter who conducted his case study in the Asian population . This researcher administered 15 Asian patients who had severe vitiligo with the normal pseudocatalase cream for treating vitiligo for six months and they proved immune to pseudocatalase. When administered turmeric, they showed no improvement either. So, why the difference in findings between the studies? Most of the turmeric supplements you see in stores come in the form of encapsulated powders. The truth is with turmeric powder you may be getting very little actual benefit. Turmeric powder has a fairly low bioavailability (meaning that a good portion of it isn’t properly absorbed by your body), it often isn’t very fresh, and it’s sometimes made with harsh processes that can destroy or degrade turmeric’s healthful components. So if you want to see actual benefit from turmeric and observe visible difference in your vitiligo, you need to be sure you are taking a highly bioavailable one. The very best form of Turmeric on the market is PuraTHRIVE Organic Turmeric Extract. It is an outstanding full-spectrum extract that’s “liposomalized”—meaning it’s specifically blended to make the turmeric bind to phosphlipids (fats) that increase its bioavailability 10 to 20 times. Peter.. can you help me and explain on how to take turmeric? Is your grandmom drinking the turmeric extract? Or just applying it on the affected skin? Can you please eleborate? So you too could help a vitiligo person like me. You mean.. your grandmom is taking this PuraThrive organic Turmeric extract?? Help me please Peter..
Is Purathrive only found in the USA? No they ship worldwide…I get them in Germany, have been taking their turmeric extract for close to 6 months and feel great! Is the product applied directly to the affected area? I have vitiligo for a long time . I would like to buy Purathrive to see if it results on me. Can any one of you tell me ; 1/ how many little botles should i buy ? ; 2/ It it easy to receive it in Europe / Portugal ? Many thanks for your help . i buy 3 bottles and see results in one month, i live in italy and had no problem getting the bottles from purathrive.